Never Alone: Ki Edition by E-line Media this game is acclaimed for PC, PlaystationNever, and Xbox One. Better take a look of a game if you have never played it before. When we talk about games many people think about math-three puzzle and endless runners games. We knew several people think that mobile games still don’t live up the offerings what you can find on the PC and lots of expectations However now there are more superior platforms games and Never Alone is one of them. When you are talking about Visuals of Never Alone it really looks stunning especially on retina screens. The art style looks like the hand-drawn paintings have come to life on your devices. The game display is 2D but almost feels like 3D platformer game. Especially background coming to alive and I have experienced frame rate due other apps running background. The music is soothing and calm too. 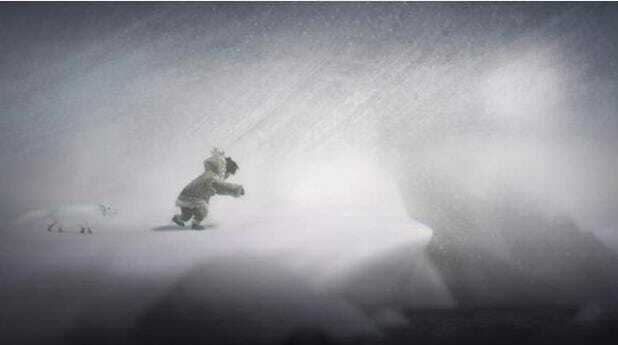 The game splits into chapters and levels that you have to guide Nuna and her companion Fox Through the Deceptive arctic blizzard. The good thing about game is its rather lenghty and make sure you reach checkpoints before stopping play sessions and you can play as long as you can without worrying about earning stars and coins in the game so take time to reach next part of the story. The game all about collaboration with the ñupiat which is situated in the Alaska Native people. story is shared about generation of Inupait. The main story involves an ñupiat girl starts her journey to find the dangerous man who destroyed her village with her companion back home. And you need to set out an quest to find out the man and reason why he burned down your village. As you play you’ll unlock videos that features actual member of the Alaskan native community. And you’ll listen there wisdom of culture, stories and values, artic in general and this the really interesting to know the information and I think this is a Bonus point of the game. There are two controllers in the game Nuna and Fox. In the bottom left corner is a virtual joystick moves left or right and it follows whenever your thumb goes. and you’ll switch between two controllers constantly to avoid challenges and obstacles , and Fox will guide her during her most difficult parts were he can communicate with spirits. And as you make progress through the game you can access more action buttons. And main large buttons are used to jump and one more button to crouch down and protect yourself from blizzard winds. The button with hand symbol indicates that you can have Nuna to grab objects and Fox can help a rope down to Nuna to climb upwards. I’m enjoying game Never Alone: Ki Edition a lot. The game has full of art work and smooth music and completely immersed with the story and unique story and lore. And hope of better optimization in the future. I feel manual saving during the game would be great so that you come back right after were you left off the game. Hopefully the developers can consider adding these updates to the future. But overall, Never Alone: Ki Edition is an excellent addition to anyone’s gaming collection. 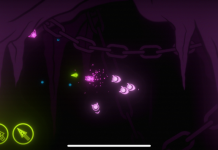 Next articleDream Machine by GameDigits with plenty of new mechanics.